When a domain is registered and expires through a registrar, it will usually remain available for reactivation..
Usually, the grace period is different among different registrar, however this is usually between 1 - 45 days after expiration. There is no guaranteed grace period, and once expired, the domain can be deleted from the database at any time. This is a 30-day timeframe after a registrar has deleted an expired domain such as .com, .net and .biz domains. It applies to .com and .net domains refers to the 5-day timeframe after Redemption during which time VeriSign holds the domain and it cannot be recovered. It applies to .org domains is the 30-day timeframe after the registrar (PIR) has deleted an expired .org domain. After a domain expires, most registrars have a grace period of 1 - 45 days, during which time you can reactivate your domain. After the grace period, the domain is deleted from the registrar database and will not appear in your account. It is not available to register just yet. Once deleted, the domain is held for 30 days by the Registry. 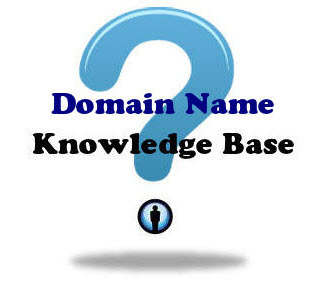 Once the domain is dropped it becomes available for anyone to purchase just like a new name. The following diagram show a typical life cycle of a domain. Click image to view a large image (new window open).